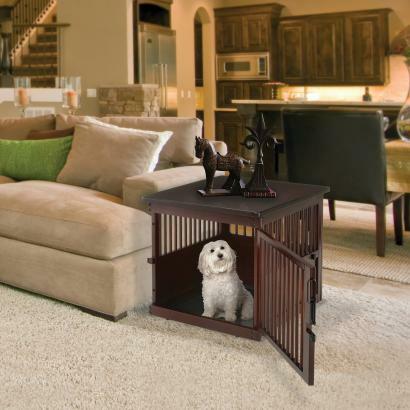 Can your pet share a living room with you? 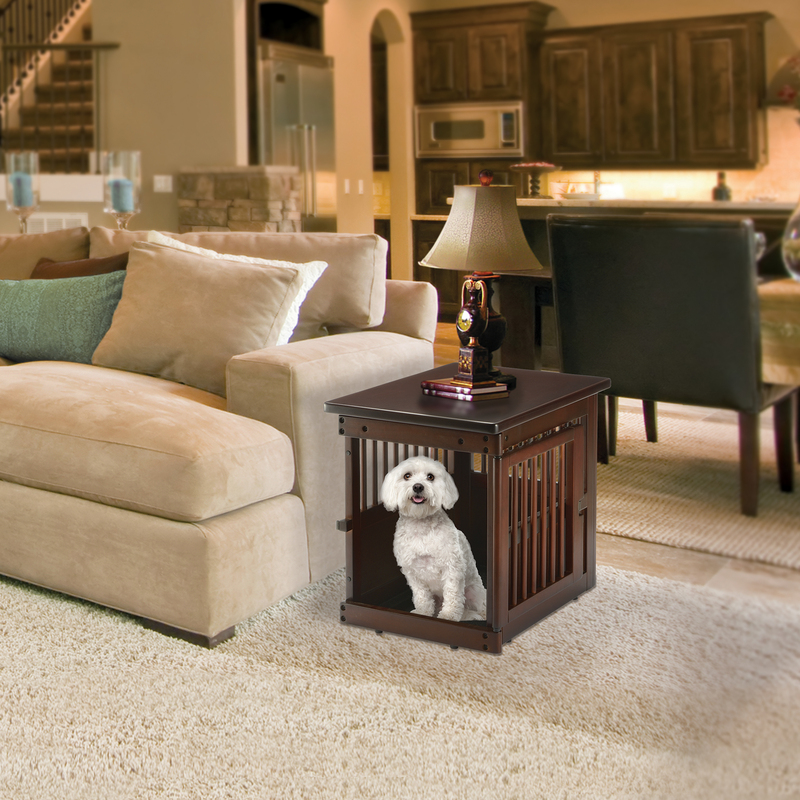 The Wooden End Table makes it possible! 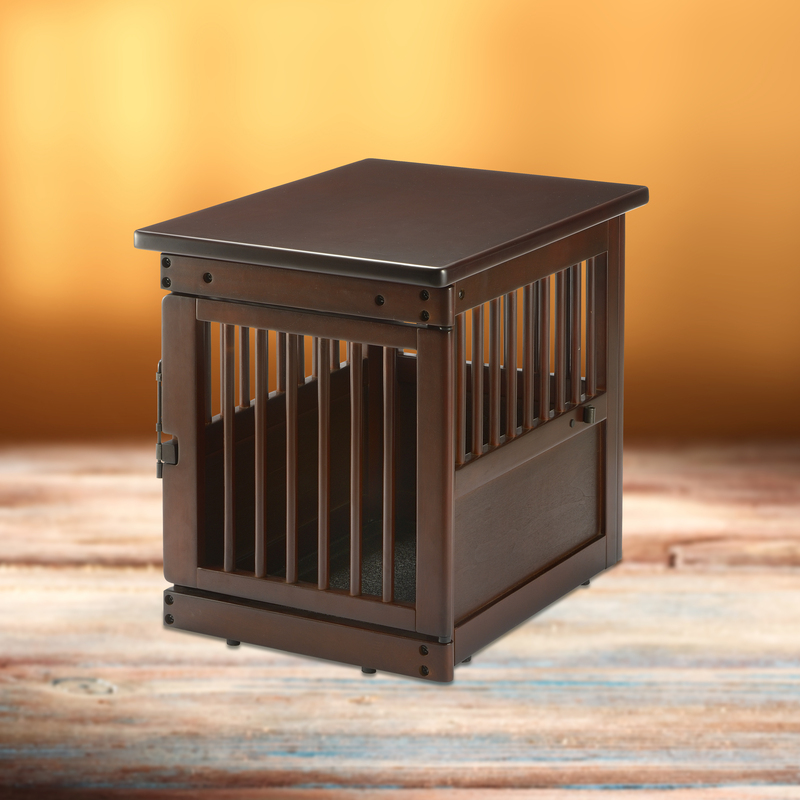 It saves space by doubling as a stylish end table as well as a pet containment and leisure space. 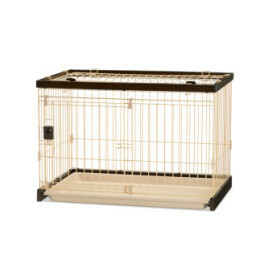 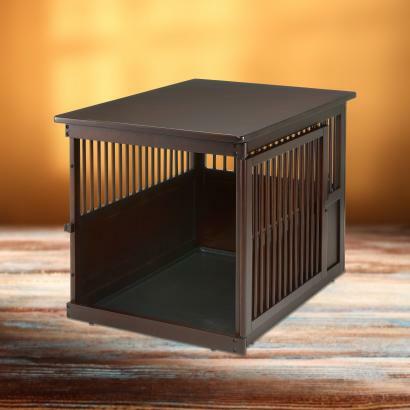 Multiple vents provide a 360° view and a well-ventilated environment for your pet. 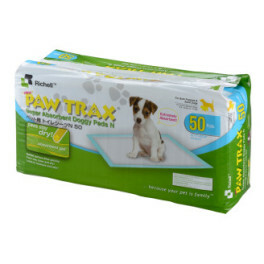 Includes a removable sliding tray for easy cleaning. The door can stay fully open for easy access to your pet and includes a side stopper to keep the door in place. 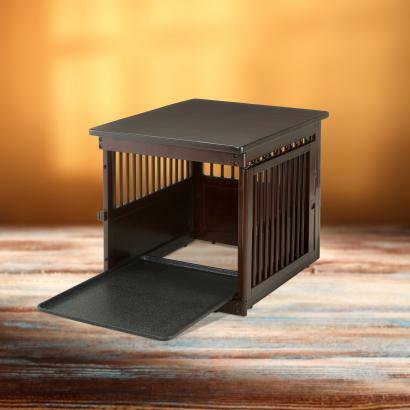 You and your pet will both feel at home and in style with the Wooden End Table Crate. 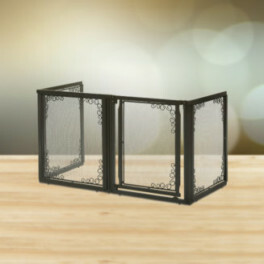 Available in three sizes; Small, Medium and Large. 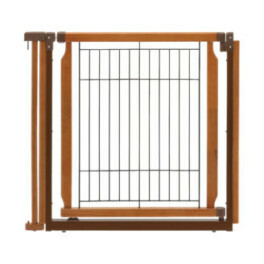 Door Opening: (Small) 14.2 x 15.5", (Medium) 21 x 18.6" and (Large) 25.7 x 23.8"
Small size for dogs up to 17.6 lbs. 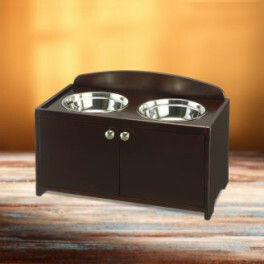 Medium size for dogs up to 44 lbs.